Bosch is electrifying semitrailers, and thus making electromobility possible for today’s semitrucks. At the IAA Commercial Vehicles in Hannover, Bosch will be presenting an electrified axle that can be integrated into semitrailers. The idea behind it is to integrate an electrical machine into the semitrailer’s axles, instead of simply allowing them to roll freely, as has been the case up to now. This means they can generate electricity during braking, and feed it into the trailer’s power units. In the case of a refrigerated trailer, the saving can be as much as 10,000 euros a year. If the cooling unit is operated using the power generated in this way, Bosch calculates that it can save up to 9,000 liters of diesel a year. An electrical start and acceleration boost function can help save additional fuel. Any fuel saving also reduces CO2 emissions. One further advantage, especially for deliveries by urban supermarkets, is that electric cooling units make significantly less noise than diesel-powered ones. Deliveries can thus be made early in the morning or late in the evening without disturbing the neighbors. Bosch is making trucks’ rear axles electric and smart. Our electrification solution for trucks makes economic sense and shows how electromobility can work even in today’s trucks. “Bosch is making trucks’ rear axles electric and smart. Our electrification solution for trucks makes economic sense and shows how electromobility can work even in today’s trucks,” says Dr. Markus Heyn, member of the Robert Bosch GmbH board of management. In addition, the electrical axle is an important step toward automated trailer parking on logistics companies’ parking lots. Adding a powertrain to the axle means that the trailer can be shunted around the parking lot without a tractor. 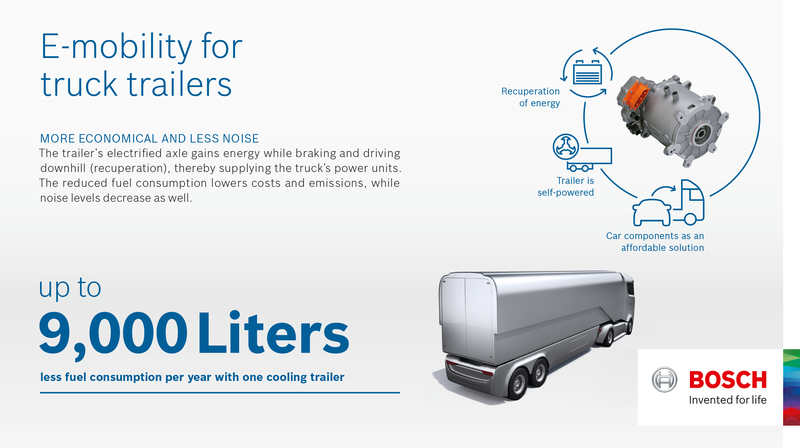 Bosch offers this technology either for new trailers or as a retrofit solution. The potential demand is huge. 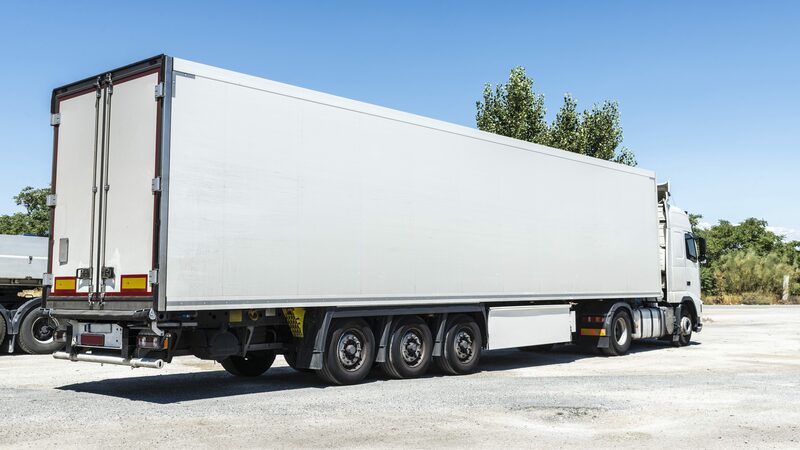 In Europe alone, roughly a quarter of a million trailers with a gross vehicle weight of more than 10 metric tons are newly registered every year. One in five of these is equipped with a refrigeration unit. In contrast to many other commercial-vehicle projects, Bosch engineers are relying on passenger-car parts for the electrified axle. For example, the SMG180 electric motor already features in hundreds of thousands of hybrid and electric cars worldwide, including the German postal service´s StreetScooters. Unlike in electric cars, the motors in the electrified axle work only intermittently, starting only if they can recuperate energy. This may be the case when driving downhill or braking, for example. As a result of this recuperation, which is an established technology in passenger cars, energy is no longer lost when braking, but is stored in a high-voltage battery. The electricity can be fed into the motors during hill starts, or power the trailer’s refrigeration unit, and in this way save a lot of fuel. Such demand-driven application has a further advantage: since the electric motors are inactive most of the time, recuperating energy or providing assistance when starting or on ascents for only a few seconds or minutes every hour, significantly less expensive production parts from passenger cars can be used in this trailer application. The motors are still powerful enough to move the trailer or to provide start assistance to construction vehicles. In addition, the electrified axle is an invaluable helper for automated driving – only when a motor is installed in the axle can a trailer maneuver independently at the depot. “Bosch’s electrified axle makes trailers independent. By electrifying trailers, Bosch is taking an important step toward automated parking at freight depots,” Heyn says. They also facilitate remote-controlled electric driving on private property such as freight companies’ premises or at ports. Up to now, truckers have had to do this task themselves, or a special trailer-shunting unit has done it for them. Now, however, the electric motor makes the trailer into an independent vehicle that can travel short distances. With the help of additional sensors attached to the trailer and installed at various points in the depot, it will be possible for goods trailers to park themselves. What parts are needed to electrify an axle? Bosch supplies an inverter and the relevant vehicle control unit (VCU). The separate motor generator (SMG) is available for installation as a complete electric motor, or the active components – rotor, stator, and resolver – can be integrated into the axle. A battery system that can store the energy is also required. How much does an electrified axle cost? Bosch cannot provide an exact figure. However, the company’s view is that the system must pay back the original investment after two years’ operation at the latest. In view of the cost savings the axle offers in applications such as refrigerated trailers, Bosch is confident that this goal is realistic. Where can an electrified axle typically be used? The most obvious choice at present is in refrigerated trucks, especially for food deliveries in urban areas. Electrically powered refrigeration units are not only more economical over the medium term, but also make significantly less noise. And there are none of the emissions caused by combustion engines. 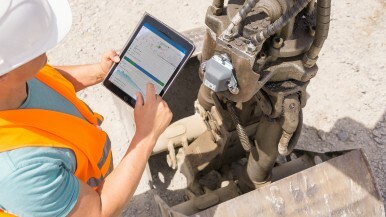 The construction industry is very interested in the start assistance function in excavation pits, especially when they are muddy. How do you arrive at your estimate for fuel savings? The diesel engine that currently powers the refrigeration unit, and that is now being completely displaced by electricity, consumes between two and three liters of diesel an hour. On this basis, annual consumption is roughly 9,000 liters. In addition, there are potential savings resulting from the electrical assistance provided when starting, accelerating, and on ascents. The extra saving may be as much as four percent. Why does Bosch favor an axle with two electric motors? Two electric motors can recuperate significantly more energy, and offer a high additional benefit at relatively low extra cost, thus allowing greater savings to be made, In addition, a dual-motor axle is better for automatic maneuvering at a depot: having an electric motor at each end of the axle significantly reduces the trailer’s turning radius. 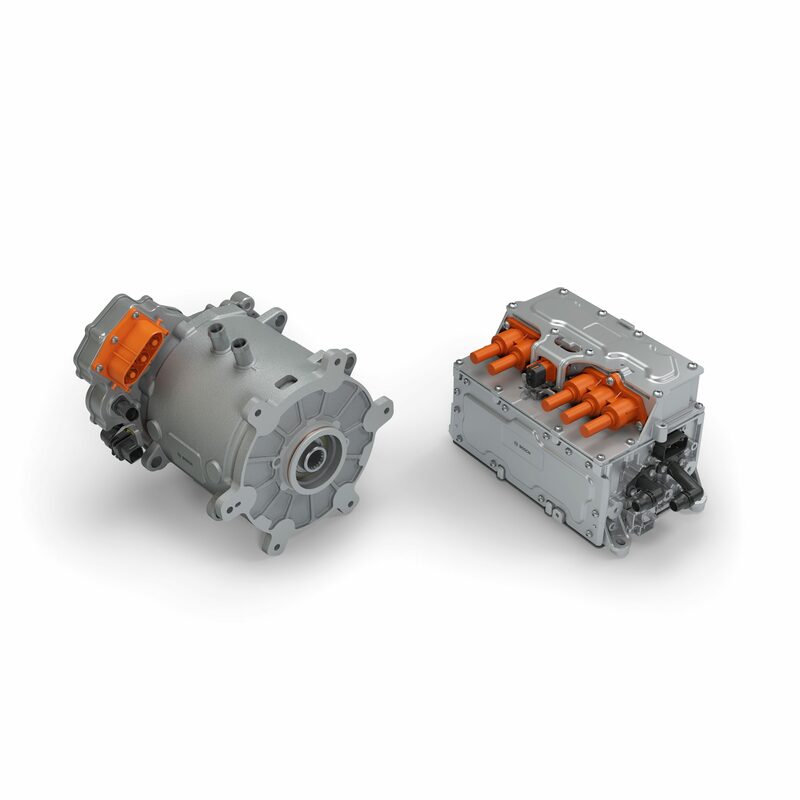 If the customer wishes to save costs, electrification with just one motor is possible. Press conference: Wednesday, September 19, 2018, 1:20 p.m. to 1:40 p.m. with Dr. Rolf Bulander, chairman of the Mobility Solutions business sector, and Dr. Markus Heyn, member of the board of management of Robert Bosch GmbH, at the Bosch booth A01 in Hall 16.